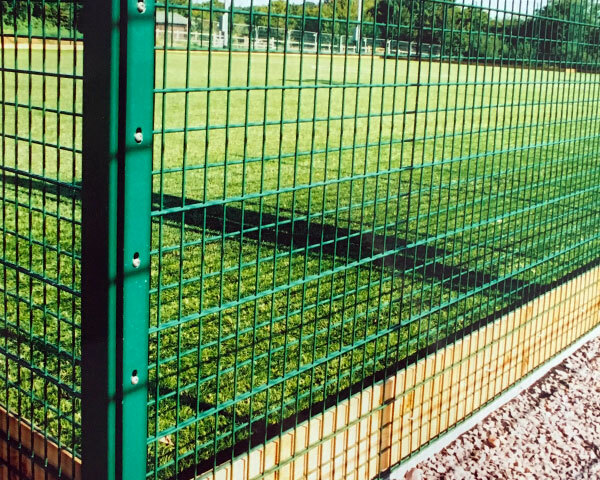 Merit Elite mesh panels provide an economical solution for boundary or divisional fences in 3m wide bays constructed in a 200 x 50mm pattern from 5mm dia. wires with rigidity beams formed horizontally to provide a neat clean appearance. 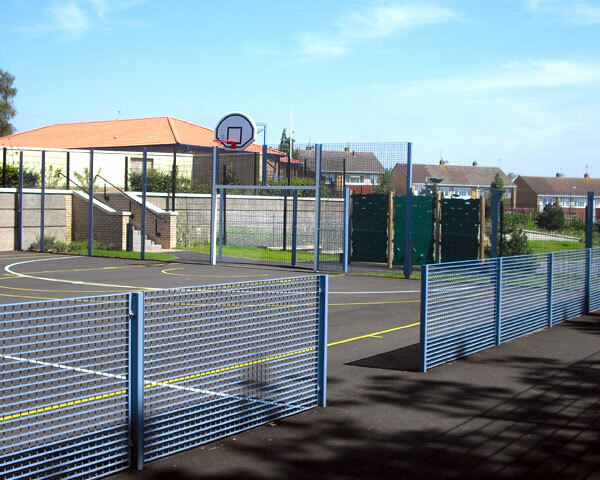 Civic Elite mesh panels are ideal for locations where the need is for a more robust design. Panels are 2.5m wide having 6mm vertical wires 44mm.apart sandwiched between 8mm dia. 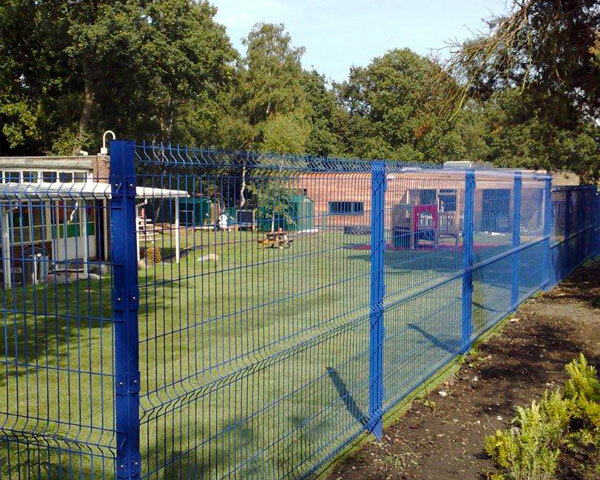 horizontal wires spaced 192mm apart offering the ideal solution for a schools, hospitals, play areas or at any location that would benefit from the strength built into this product. 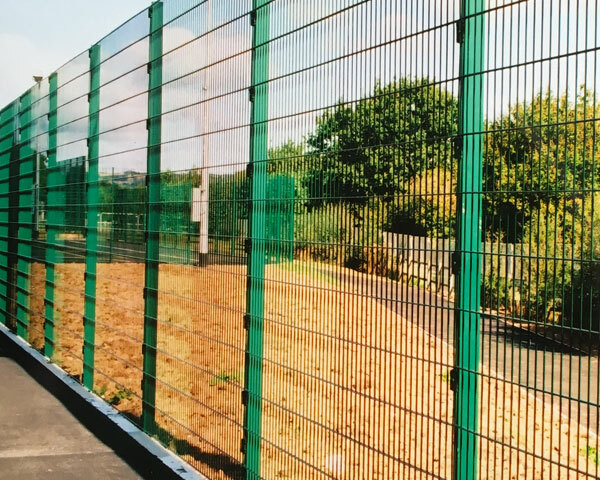 Invincible 358 traditional high security vandal resistant mesh panels are manufactured 2.515m wide in a range of heights up to 5.2m using 4mm wires spaced 8.7mm.apart horizontally and 72.2 mm vertically to provide a secure toe and finger proof anti-climb screen. 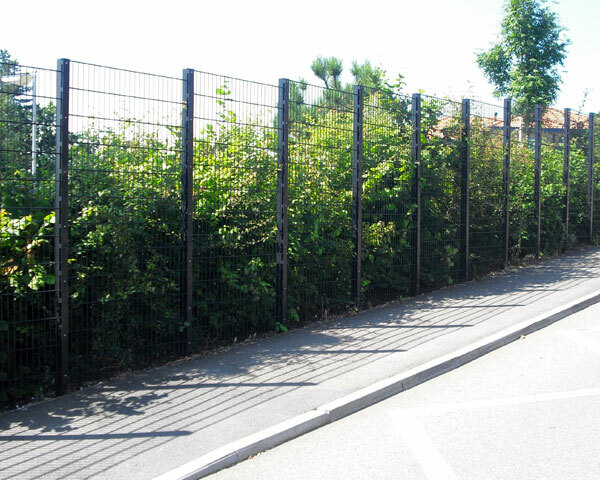 Invincible 358 Elite 2.4m high security vandal resistant mesh meeting with C.P.N.I. category 2 standard. Panels are produced 2.89m. wide using the same mesh configuration as traditional 358 rotated 90º. 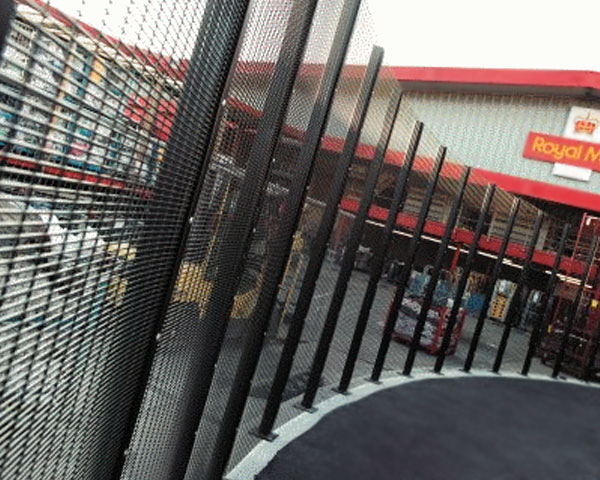 Each panel incorporates 3no.horizontal beams to alleviate any unsightly bellies prevalent in other fences of this type.